What is a second mortgage? It's any loan secured by the value of your home, aside from the main loan used to buy the home itself. That one is called your primary mortgage; any other loans secured by your home are called second mortgages, no matter how many there are. Second mortgages are one of three types. 1) Home equity loans, where you borrow a single lump sum of money; 2) Home equity lines of credit (HELOCs), which you can draw against as needed; and 3) Piggyback loans, which are used to split the purchase of a home between two different loans as a cost-saving measure. A mortgage is any loan backed by real estate as collateral; they don't have to have been used to buy the home itself. That's why a home equity loan is considered a type of mortgage. Second mortgages are called that because they are secondary to the main, primary mortgage used for the home purchase. In the event of a foreclosure, the primary mortgage gets fully paid off before any second mortgages get a dime. They are second liens, behind the first lien of the primary mortgage. Because they are secured by the equity in your home, second mortgage interest rates can be significantly lower than those for other loan options, like credit cards or unsecured personal loans. Unsecured loans like credit cards don't have anything to back them up, so they're riskier for lenders. A 2nd mortgage uses the equity in your home as collateral, so lenders are willing to offer lower rates. Because they are second liens, 2nd mortgage rates run a bit higher than what lenders charge for a primary home loan. Because the primary lien gets paid off first in the event of a default, a second mortgage is somewhat riskier for lenders, so the rate is different. Second mortgage rates can be either fixed or adjustable. Fixed rates never change over the course of the loan, so your payments are predictable. Adjustable rates start out lower than comparable fixed rates, then periodically reset depending on market conditions, so the rate you're paying may rise or fall. Standard home equity loans and piggyback loans usually have fixed rates, but HELOCs are always set up as adjustable rate mortgages during the period when you can draw against the line of credit. As noted above, second mortgages fall into three types: 1) standard home equity loans, 2) home equity lines of credit (HELOCs) and 3) piggyback loans. Here's a brief look at each; click on the highlighted links for more detailed explanations. In a standard home equity loan, you borrow a certain amount of money and pay it back over a predetermined time, often 5-15 years. These are usually set up as fixed-rate second mortgages, although they are available as adjustable-rate loans as well. You can generally use the funds from a home equity loan for any purpose you wish – you don't have to explain why you want the money, in most cases. However, there are some home equity loans that can only be used for home improvements and for which a budget must be submitted. A home equity line of credit HELOC is a special type of home equity loan that, instead of borrowing a fixed sum, sets up a line of credit that you can draw against as you wish. It's like a credit card secured by your home equity; in fact, lenders will often give you a card to use for drawing funds. 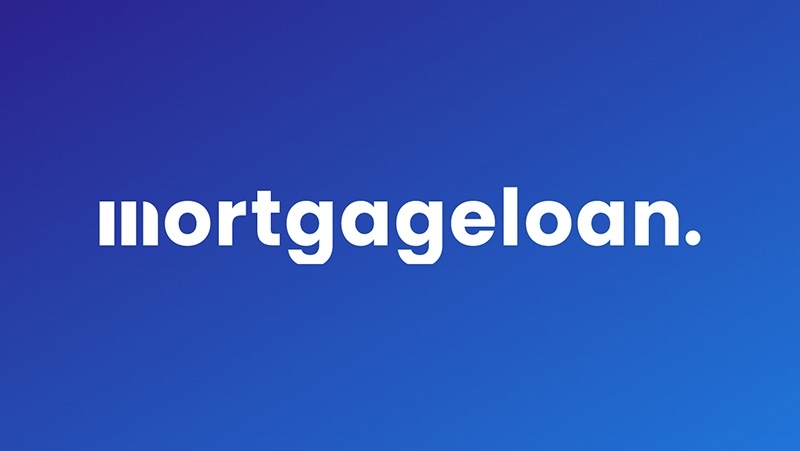 A HELOC second mortgage has two phases: the draw period, when you can borrow against your line of credit, and the repayment phase, when you must repay the loan principle with interest. The draw is usually 5-10 years; the repayment phase 10-20. HELOCs always start out as adjustable-rate loans during the draw phase, but can often be converted to fixed-rate for the repayment phase. HELOCs offer a lot of financial flexibility. Being able to borrow money as you wish makes them useful for situations where you have a lot of irregular expenses over time, such as starting a business or an extended home improvement project. But you can also repay them as you wish during the draw phase, freeing up that amount of credit again and reducing interest charges. This makes them useful cash-management tools to smooth out irregularities in expenses or income. A piggyback loan is an entirely different category of second mortgage loans. Rather than borrowing against your home equity, a piggyback loan is in addition to the primary mortgage when buying a home. In other words, you're using two mortgages to make the purchase. For example, when buying a $300,000 home, you might pay for it using a $240,000 primary mortgage, a $30,000 piggyback loan and a $30,000 down payment. Why do this? There are two reasons. The first is to cover part or all of the down payment in order to avoid paying for private mortgage insurance (PMI). The second is to avoid taking out a jumbo loan when buying a more expensive home. The other reason for a piggyback second mortgage is to avoid taking out a jumbo loan. Jumbos are loans that exceed the maximum you can borrow with a Fannie Mae, Freddie Mac or FHA conforming loan. Depending on local home values, these limits range from $453,100-$679,650 in most states, and up to $721,050 in Hawaii. Jumbo rates are sometimes significantly higher than those on conforming loans. So borrowers buying a high-value home may take out a conforming mortgage for the Fannie/Freddie/FHA maximum, then cover the rest with a piggyback loan and down payment. For home equity loans and lines of credit, the main requirement is….home equity. You need to have a certain amount of home equity built up before you can think about taking out a 2nd mortgage. As a rule of thumb, second mortgage lenders will allow you to borrow against up to 80 percent of your home value – that's your primary and second mortgage combined. So if your home is valued at $300,000 and you still owe $200,000 on your mortgage, you could take out a home equity loan or get a line of credit for up to $40,000 ($240,000 = 80 percent of $300,000). That's not a hard and fast rule. If you have good to excellent credit, some second mortgage lenders will let you borrow against as much as 90, even 95 percent of your home value. Most second mortgage lenders will require a minimum credit score of 620, often higher. Borrowers with lower scores will pay higher interest rates and face stricter home equity requirements than those with better scores. On piggyback loans, lenders will usually require that you cover at least 5 to 10 percent of the home purchase price with your own money; that is, a 5-10 percent down payment. This might give you an 80-10-10 or 80-15-5 piggyback. Prior to the housing crisis, second mortgage lenders routinely allowed 80-20 piggybacks with no down payment at all, but those have effectively disappeared. You can refinance a second mortgage the same as you can a primary home loan. You simply take out a new loan and use it to pay off the old one at the same time. Second mortgage refinancing is particularly common with HELOCs, where borrowers refinance as their draw period is coming to an end. This allows them to extend their draw period out another 5-10 years, roll their balance owed into the new HELOC and maintain the financial flexibility of being able to borrow and repay as they wish. Borrowers may also refinance their primary and second mortgages at the same time in order to roll them into a single loan. This usually happens when they can get a better rate than they're currently paying on the two separate loans. It also may happen with a piggyback loan when they've accumulated enough home equity that PMI is no longer required on the new loan. A second mortgage can also present a challenge when it comes to refinancing your primary mortgage. Generally speaking, the oldest mortgage is the first lien. When a primary mortgage is refinanced, any 2nd mortgage becomes the new first lien unless it is resubordinated to the new primary loan. Second mortgage lenders may be unwilling to do that, so borrowers often simply roll them both into a new, single loan. However, that may be difficult to do if the home has fallen in value and the homeowner has little or no equity to work with. In that case, a second mortgage can block the refinance of the main loan if the second mortgage lender is unwilling to resubordinate it.